Differential evolution is a very simple but very powerful stochastic optimizer. Since its inception, it has proved very efficient and robust in function optimization and has been applied to solve problems in many scientific and engineering fields. In Differential Evolution , Dr. Qing begins with an overview of optimization, followed by a state-of-the-art review of differential evolution, including its fundamentals and up-to-date advances. He goes on to explore the relationship between differential evolution strategies, intrinsic control parameters, non-intrinsic control parameters, and problem features through a parametric study. Findings and recommendations on the selection of strategies and intrinsic control parameter values are presented. Lastly, after an introductory review of reported applications in electrical and electronic engineering fields, different research groups demonstrate how the methods can be applied to such areas as: multicast routing, multisite mapping in grid environments, antenna arrays, analog electric circuit sizing, electricity markets, stochastic tracking in video sequences, and color quantization. Differential Evolution is ideal for application engineers, who can use the methods described to solve specific engineering problems. It is also a valuable reference for post-graduates and researchers working in evolutionary computation, design optimization and artificial intelligence. Researchers in the optimization field or engineers and managers involved in operations research will also find the book a helpful introduction to the topic. Anyong Qing is a Research Scientist with Temasek Laboratories at the National University of Singapore. He has been involved in various areas of research in electromagnetics and evolutionary computation, producing pioneering work in solving electromagnetic problems using evolutionary algorithms. Qing has authored 4 book chapters, 49 peer reviewed journal papers, and 37 conference presentations, and altogether has been cited by other researchers over 150 times. He was invited to contribute a review on electromagnetic inverse problems for the Wiley Encyclopedia of RF and Microwave Engineering. He is also an invited speaker for EuMW, IST, PIERS, etc. Qing received a Guest Professorship at Southwest Jiaotong University and was elected as a senior member of the IEEE in 2005. Qing holds a B.E from Tsinghua University and a PhD from Southwest Jiaotong. 1 An Introduction to Optimization. 1.1 A General Optimization Problem. 2 Fundamentals of Differential Evolution. 2.1 Differential Evolution at a Glimpse. 2.3 Intrinsic Control Parameters of Differential Evolution. 2.4 Differential Evolution as an Evolutionary Algorithm. 3 Advances in Differential Evolution. 3.1 Handling Mixed Optimization Parameters. 3.2 Advanced Differential Evolution Strategies. 3.4 Parametric Study on Differential Evolution. 3.5 Adaptation of Intrinsic Control Parameters of Differential Evolution. 4 Configuring a Parametric Study on Differential Evolution. 5 Benchmarking a Single-Objective Optimization Test Bed for Parametric Study on Differential Evolution. 5.2 A Survey on Test Problems. 5.3 Generating New Test Problems. 5.4 Tentative Benchmark Test Bed. 5.5 An Overview of Numerical Simulation. 7 Optimal Intrinsic Control Parameters. 8.3 Performance of Differential Evolution. 8.4 Optimal Population Size and Safeguard Zone. 8.5 Optimal Mutation Intensity and Crossover Probability for Sphere Function. 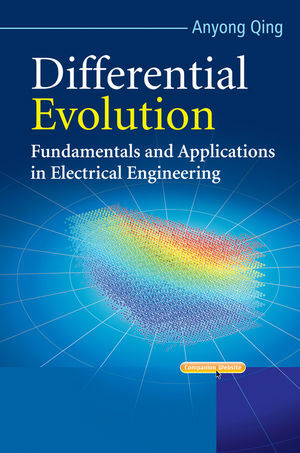 9 An Introductory Survey on Differential Evolution in Electrical and Electronic Engineering. 9.3 Control Theory and Engineering. 9.9 Signal and Information Processing. 10 Flexible QoS Multicast Routing in Next-Generation Internet. 11 Multisite Mapping onto Grid Environments. 11.3 Differential Evolution for Grid Mapping. 11.4 Experiments in Predetermined Conditions. 12 Synthesis of Time-Modulated Antenna Arrays. 12.3 Synthesis of Multiple Patterns from Time-Modulated Arrays. 12.4 Pattern Synthesis of Time-Modulated Planar Arrays. 12.5 Adaptive Nulling with Time-Modulated Antenna Arrays. 13 Automated Analog Electronic Circuits Sizing. 14 Strategic Bidding in a Competitive Electricity Market. 14.2 Bidding Strategies in an Electricity Market. 14.3 Application of Differential Evolution in Strategic Bidding Systems. 15 3D Tracking of License Plates in Video Sequences. 15.2 3D License Plate Tracking Acquisition Setup. 15.3 Statistical Bayesian Estimation and Particle Filtering. 15.4 3D License Plate Tracking Using DEMC Particle Filter. 16.2 Differential Evolution Based Color Map Generation. 16.3 Hybrid Differential Evolution for Color Map Generation. Differential Evolution Access the companion website to download code examples.